How do sports insoles work? Sports insoles are extremely useful and help runners avoid common problems associated with running such as plantar fasciitis and repetitive strain injuries. These injuries come about due to the impact of your foot bouncing on the hard flat surfaces found in urban areas. Think of your weight striking the ground and an equal and opposite force going upwards from the base of your foot, this can wreck havoc on your knees, back and feet. The plantar fascia is a ligament that connects your toes to the heel; this can end up inflamed and swollen leading to debilitating heel pain. You need an insole that absorbs the shock and prevents it from travelling through your joints and ligaments and thus preventing injury. 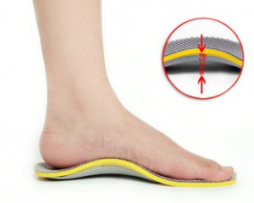 That is what sports insoles are all about – injury prevention! It is much better to avoid injury and in the long term it means you can train harder and for longer, you don’t want your progress to suddenly stop due to injury, this can lead to de-motivation and a premature stop to your athletic goals. 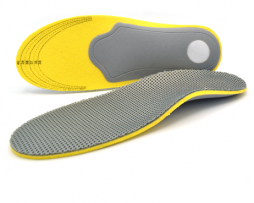 Nuova Health have sourced excellent quality sports insoles designed for the keen sportsman or woman. They are unisex, fit all sizes and simply just need to be cut down to the correct size in order to fit your favorite pair of trainers. They are made of shock absorbing eva, preventing forces from wrecking havoc on your poor limbs. 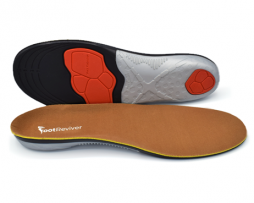 They also come with an arch support further protecting the arch of the foot and the plantar fascia. 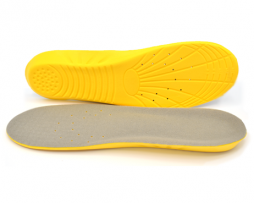 Our sports insoles even have been designed with improved sports performance in mind and can help you to run faster. The shock absorbing eva not only absorbs the shock and protects your feet it then redirects the force away from your foot resulting in more explosive power as you run. If this interests you then check out our store and you will find the latest sports insoles available at affordable prices. 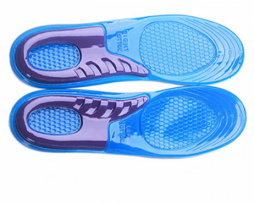 These gel insoles are a must buy for anyone suffering from foot or heel pain. They feature massaging gel orthotic support that actively molds and adapts to the changing pressures that your feet are put under when you walk. The silicone gel gives your feet a custom level of support and helps to restore balance, function and comfort back to your feet. 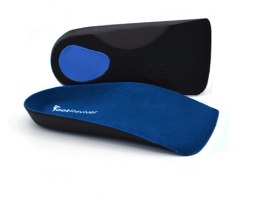 They are perfect for anyone suffering from plantar fasciitis as they have been designed to help treat the most common underlining causes of plantar fasciitis and provide sufferers the support and protection that they need in the places where they need it the most. Shock absorbent to help protect your feet and lower limbs from injuries such as plantar fasciitis, Achilles tendinitis, shins splints, knee tendinitis and lower back pain. Perfect for people who are on their feet for long periods on hard surfaces such as concrete or pavement. What is Plantar Fasciitis and how can insoles help? Heel pain is a common symptom of plantar fasciitis. The plantar fascia is a ligament that connects the heel bone to the toes; it supports the arch of the foot. If the plantar fascia is injured or is weakened or becomes swollen or inflamed the heel of the foot can begin to hurt as you stand due to the added pressure of the weight of your body on the already inflamed plantar fascia. Plantar fasciitis is the name for this inflammation in the plantar fascia. As we have already explained heel pain is the most common symptom of plantar fasciitis. In order to gain relief from this pain you have to support the plantar fascia and distribute the pressure, caused by standing, away from the painful area. In order to gain the most appropriate relief from plantar fasciitis heel pain we must consider the causes of the heel pain in the first place and treat the cause not just the symptoms. Plantar fasciitis is caused by the ligament that supports the arch straining and thus becoming inflamed. Straining is more likely to occur due to excessive pronation, high arches or flat feet, walking or standing or running for a long time on hard flat surfaces, being overweight, wearing shoes that don’t fit well or a tight Achilles tendon. People with Plantar fasciitis caused by flat feet can gain relief by using plantar fasciitis insoles. 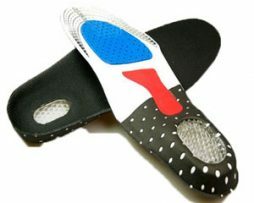 Plantar fasciitis insoles are specially designed orthotics. 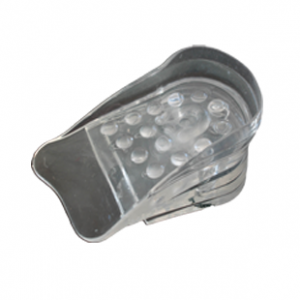 They are shoe inserts that support the arch of the foot and in doing so re-align your posture, supports the natural arch of the foot and redistributes pressure. 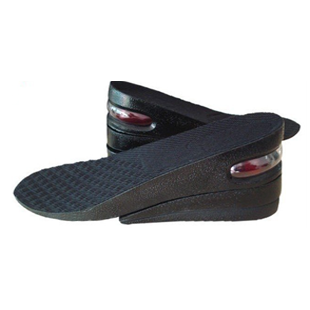 The result is instant pain relief from plantar fasciitis associated with flat foot. If your plantar fasciitis is not caused by flat foot and the arch of your foot is fine then you should instead wear plantar fasciitis heel pads or heel cups. 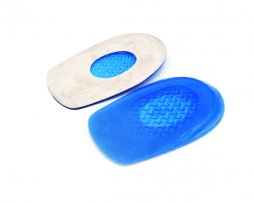 These absorb everyday shock to the heel area and redistribute this away from the painful region; they realign your posture and help to eliminate heel pain. Pain from standing or walking is instantly eliminated. Those that run may be best advised to wear arch support sports insoles in order to prevent plantar fasciitis from occurring in the first place. Tight Achilles tendons can be resolved through stretches. We will deal with tight Achilles tendons in a future article as there is a lot to explain here. Here at NuovaHealth we stock many plantar fasciitis products designed to help you find relief from your pain. 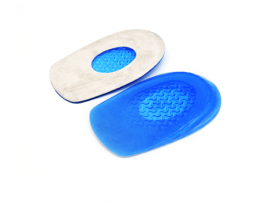 Our gel massaging heel cushion pads are perfect for slipping inside your shoes for instant foot and heel pain relief. Full 30 day money back guarantee, no questions asked! 1) Great for dating success. Everyone knows that girls are attracted to tall men, height increasing insoles give you a secret ‘lift’ over the competition. Imagine walking into a room 2 inches taller than you would be normally. How much dominant would you be? How attractive would you feel? Do you think it will be easier to walk over to that girl you have your eye on and introduce yourself? 2) Increase your social circle and gain attention. Taller men are usually at the centre of the social circle, other people gravitate towards those that are more dominant than they are. Tallness can be interpreted as dominance. Wear our height increasing insoles and become the life and sole (pun intended?) of the party. 3) Those extra 2 inches are also great for achieving career success. In studies it has been found that taller men are more likely to be promoted. Being taller gives you an air of dominance that translates well into the workplace thus giving your words extra weight in the boardroom. 4) Earn more money. Career success and promotion translates well into pay rises and more money in your back pocket. Our height increasing insoles almost pay for themselves! 5) Height Increasing Insoles are completely discreet meaning no-one will ever know your little secret. 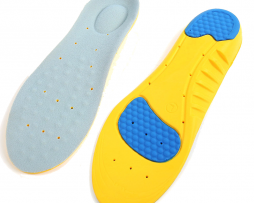 If you want to try out a pair of height increasing insoles simply head over to our store. They are easily affordable and great fun to wear. Adjustable to the height you require, comfortable and safe to wear. If in the unlikely event you are not happy with your purchase then simply return it within a year and we will give you your money back – guaranteed no questions asked. You have nothing to lose but perhaps a lot to gain.